Helping businesses with their IT support and Managed IT Services. Call us on 03300 53 59 55 today for free advice on your business IT support needs. The 5th Utility founders all started their careers working in business IT support, helping organisations throughout the UK maintain their IT infrastructure. Our Helpdesk is located in the centre of Nottingham. We encourage our IT technicians to get to know your infrastructure, and complete as many first-time fixes as possible. All members of the team who answer the support phone are technically accredited so as soon as a customer asks for help, they are in contact with an individual who can support and resolve any IT issue. The 5th utility support team has a wealth of knowledge across a wide range of technologies. We fully understand that IT just needs to work so we challenge ourselves to achieve a fix on the first call whenever possible. Weekly and monthly call analysis takes place to give our team and you information on recurring problems. This can then be used towards planning improvements to the current IT infrastructure. Our philosophy is get to the cause of your problems, and resolve them, rather than finding the fastest fix knowing it is temporary. 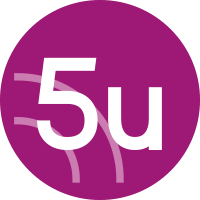 At 5th Utility we are small enough to care about each and every customer, whilst being sufficiently large to support your entire IT infrastructure. We differ from other support providers because WE CARE about your business! Save yourself the difficulties of finding a reliably IT support by speaking with a company that has IT support in its DNA. Call us on 03300 53 59 55 to talk about your support requirements. Whether you’re looking for a pay as you go helpdesk, or a fully outsource to a fully managed service, we can help. What do our customers think of our IT Support services? We pride ourselves on our no nonsense IT support packages.